The following article written by Keith Robertson was published in Tai Chi International magazine and is reproduced here in it's entirety. 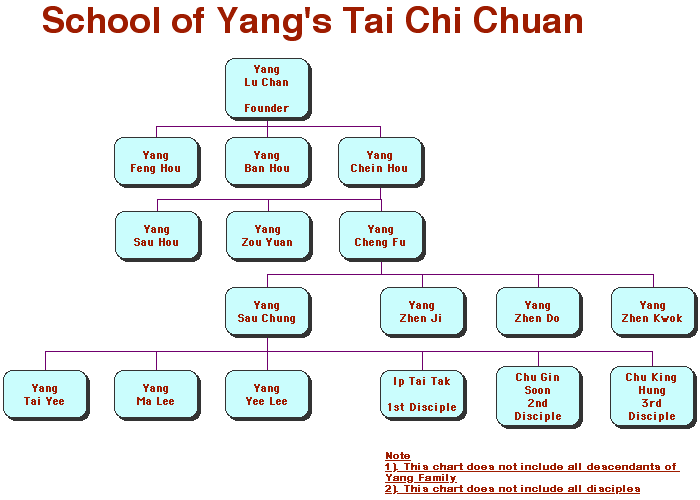 Tai Chi Chuan is a Martial Art. Art with a capital A has often been regarded as a pinnacle of human development. This can be manifested in many ways. A craftsman (or woman) plying any Trade is called a Master, e.g. a Master Chef creates food to crave for; Master Carvers were used by Chuang Tse to illustrate the un carved block, the useless tree and the butcher. The point of craftsmanship is to aim high, and practice perfection. Watching a skilled craftsperson at work is a true pleasure. 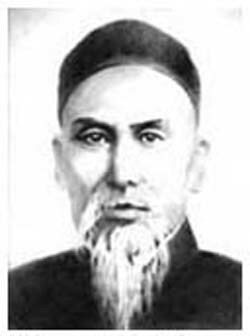 Unfortunately some have watered Tai Chi Chuan down to a series of movements and some place all emphasis only on the martial side. Mastering Tai Chi Chuan is a goal many people seek, but few achieve. 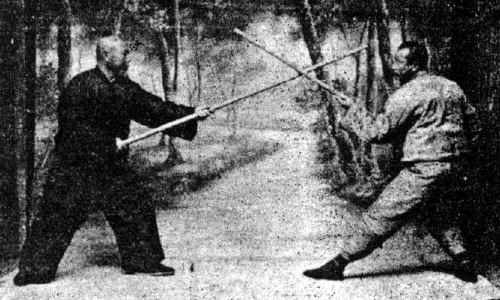 It is a credit to the Grand Masters of old that they did not introduce Belts into Tai Chi. Tai Chi is a tool to develop the self. A self help course, and at the Zenith of self help is good heath. Truly a Self Defensive Internal Martial Art. The capital A shows two roads joined by (the centre) a common goal reaching towards heaven (with both feet planted firmly on earth). We have an Arrow head to remind us of our infinite journey towards perfection. How lucky we are that English uses our first letter to represent this highest desire. The Chinese have such an advantage in their pictorial representations of ideas, that it is worth studying their calligraphy to understand more. Much like there is a wealth of knowledge to gain from the mythical names given to the postures and stories attached to the Classics. A friend of mine said recently that everything revolved around money. Indeed Douglas Adams opens the Hitch Hikers Guide to the Galaxy with a discourse on why people were unhappy: "many solutions were suggested for this problem, but most of these were largely concerned with the movement of small green pieces of paper, which is odd because on the whole it wasn't the small green pieces of paper which were unhappy." Yet a moment of Love blows away any thoughts of money. We have all experienced Love from some quarter and we all know (hopefully) how stupendously good it is. Few joys exist such as those free moments of intense intimacy. The passion, desire and glory of being in love can be compared to the earnest study of Tai Chi Chuan. Time almost stands still as you revel in the brilliance. Yet no one who is not blind, and has spent time making either work, is very far away from the pain and difficulties balancing ecstatic happiness with the knowledge this it will not / cannot last forever. Like watching a child with a new toy. Thus the paradoxes of trying means not doing, working means not relaxing, moving means not still, still means not moving, have to be continually addressed. Moments of growth in Tai Chi can be blown away by several apparent steps backward. But it is growth that we all must strive for, as we aspire to spiral upwards. Not to be better than xyz, but to be better than we were before. To be more of a rounded person, and to grow with Honour. Very little is mentioned about honour in our lives today. Mostly it is self, self, self rather than healthy living. What a terrible shame. Chivalry, compassion, uprightness , are all bound within honour. Heroes and Heroines of old lived and died by their honour. Perhaps we should take stock of our goals and decide what it is we want out of everything we do. Here we can see the value of our slow progress with Tai Chi working subconsciously in our favour. As we study and practice in a safe environment we can let our barriers down a little more and, whilst very vulnerable, trust our partners to honour our helplessness. Trusting that they will be as open and honest with us as we are being with them. Then from this precarious position try to move forward and grow upward and outward. It has often been said that to study the Form (of Tai Chi Chuan) is to study oneself interacting with others. This myth has several lessons for us. All myths as far as I am concerned are multi-faceted messages, that should be dwelt upon at length, and revisited often. Just like "Tai Chi Chuan is an Internal not External Martial Art" needs much contemplation. So what's my point? Tai Chi is such a good vehicle for self growth. It is not the only Way, but it is as good as many others. Take your time, you only have to study and practice to improve. Because of the Interdependence of each and every action / reaction (Chaos, Buddhist, Zen & Taoist theory). Choose with care who you study with. Honour and trust them with your life, because it's your life (as much as their own) that they / you are mucking about with.